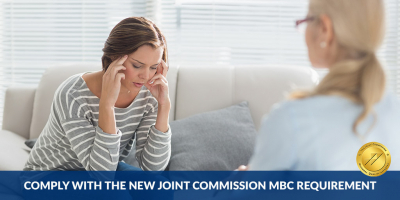 For those of you who missed it, yesterday’s Joint Commission webinar outlined why all accredited behavioral healthcare organizations are being required to start using Measurement-Based Care by January 1st as well as various compliance options. 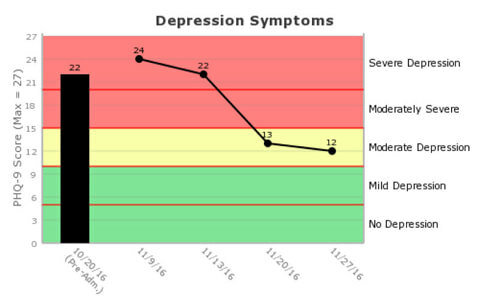 Patients are screened online for depression, anxiety, trauma, eating disorders, suicidal thoughts and self-harming behavior using academically-validated screening questions and scales such as the PHQ-9, GAD-7 and Columbia Suicide Severity Rating Scale. All data is displayed in real time in color-coded patient graphs in Vista’s INSIGHT portal. Counselors and center management can choose how and when to be notified of new submissions. Patients are reassessed on whatever schedule your clinicians recommend using customized surveys that only take 2 to 4 minutes to complete. For patients with access to smartphones or the internet, INSIGHT can text or email them directly when it is time for a new survey to be completed. 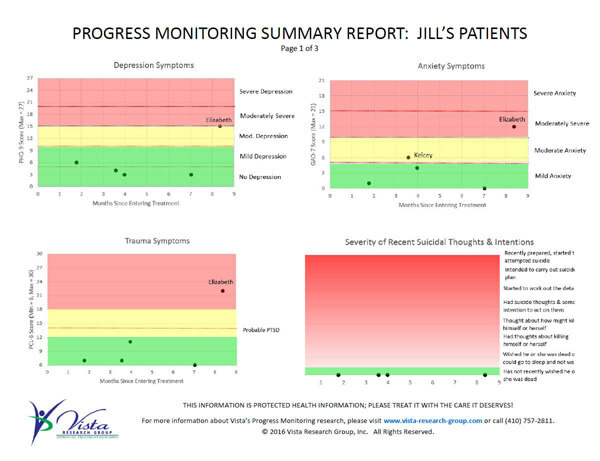 Real-time summary reports make it instantly apparent which patients are not progressing as well as expected. Your data is analyzed in a comprehensive (14+ page) annual Outcome Measures Report so your management can see how your program compares to national norms and whether your results are improving over time. Your options for complying with the new Joint Commission standard range from handing your patients pen-and-paper surveys to using an online platform that provides real-time results to your clinicians with little staff effort. Learn more about all of your options on our free webinar "Easily Comply with the Joint Commission's New Outcome Measures Standard".